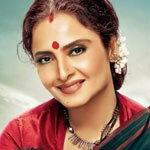 "Super Nani" is a 2014 hindi film which has Rekha, Sharman Joshi, Shweta Kumar, Randhir Kapoor, Anupam Kher, Rajesh Kumar, Shreya Narayan, Varsha Usgaonkar, Anchal Dwivedi and Vishakha Subhedar in lead roles. We have 2 songs lyrics and 2 video songs of Super Nani. Sanjeev Darshan and Harshit Saxena have composed its music. Shreya Ghoshal, Darshan Rathod and Harshit Saxena have sung these songs while Sanjeev Chaturvedi and Sameer Anjaan have penned its lyrics.